Artículo ​​# 306182 Puntos Stash: 14999 (?) This is the number of points you get in The Zumiez Stash for purchasing this item. Stash points are redeemable for exclusive rewards only available to Zumiez Stash members. To redeem your points check out the rewards catalog on thestash.zumiez.com. 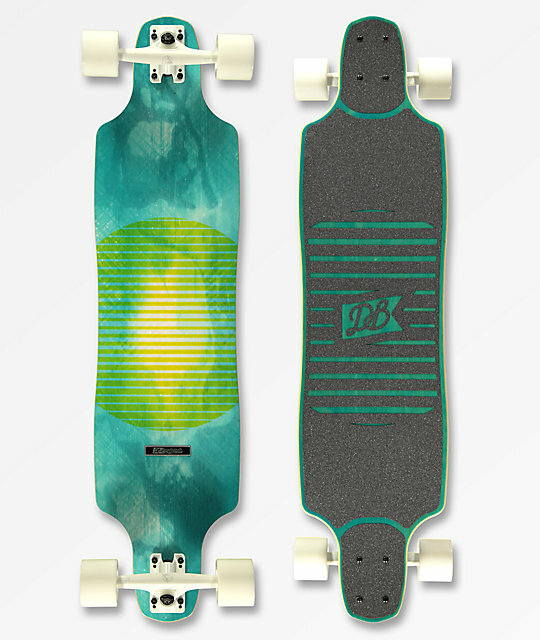 The DB Coreflex Crossbow V2 Flex 2 40" Longboard Complete is at the forefront of skate technology. From a waterproof deck plating to its overall triaxial fiberglass construction, this deck almost seems more like a snowboard than a longboard. Atlas trucks provide excellent stability while maintaining a premium turning radius thanks to the ball and socket style pivot cup and precision washer technology. Cloud Ride downhill wheels are added to this complete in a 69mm and 78a size and durometer rating for a soft, smooth ride, with above average acceleration. Abec 7 Cloud Ride bearings provide top notch carrying speed whether your cruising or bombing and the over-all mid-range V2 flex keeps this board nice and playful. Finish off your skate quiver with the one and only DB Coreflex Crossbow V2 Flex 2 40" Longboard Complete and see what all the hype is about. CoreFlex Crossbow V2 Flex 2 40" Longboard Complete from DB Longboards. Waterproof HD top and bottom. Cambered one piece vertically laminated bamboo core. 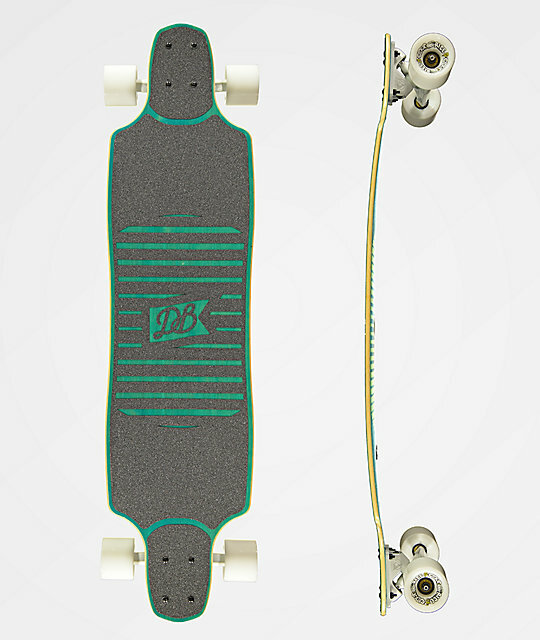 Atlas 180mm 48 degree reverse kingpin, Ultralight trucks. Cloud Ride 69mm 78a cruiser wheels. Cloud Ride Abec 7 bearings. Laser cut graphic grip tape applied to top. Level 2 flex; medium flex board and is recommended for people 120 to 170 pounds.